The Smoothwall’s supplied reports are found under the Reports > Reports menu. 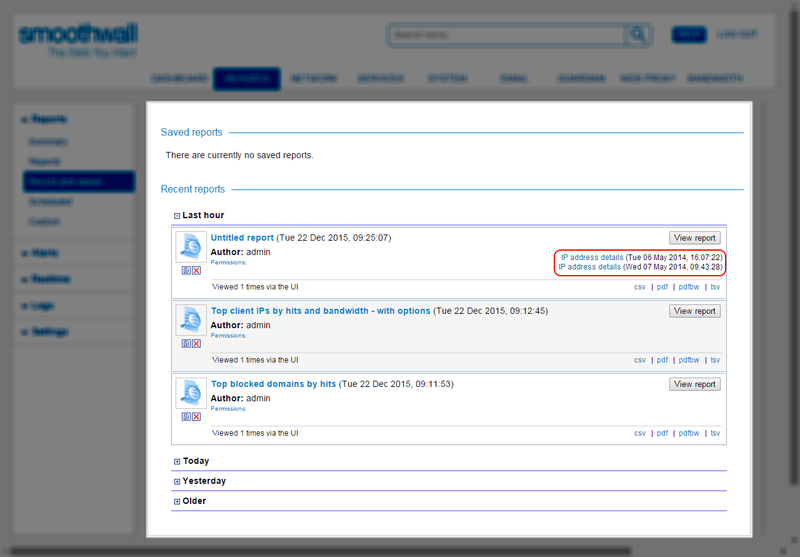 Those reports available to run are dependant on the Smoothwall, and licenced modules, installed. All other supplied reports have been deprecated from the Smoothwall, but remain in the Archive folder for backwards compatibility. For a detailed description of the supplied reports, see Available Reports.